Browse: Home / App Review: TRAKTOR DJ is superb!!! 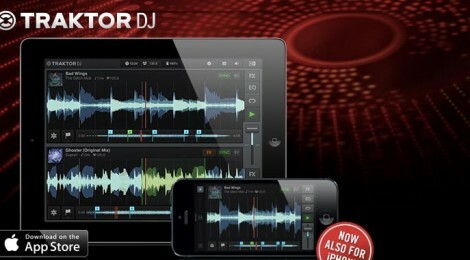 App Review: TRAKTOR DJ is superb!!! 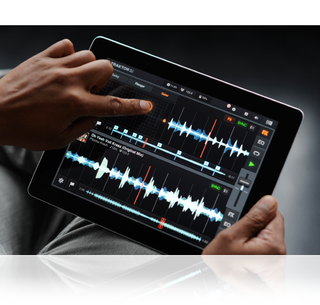 TRAKTOR DJ is the BEST app on iPad and iPhone for doing any mixes, remixes and all around generally funking your world up. iPad version is best, because there’s tons more room on screen to control more options in multi-touch. But for “on the go in your pocket” playing… the iPhone version does great too. Basically, you load songs onto timelines to play them… they show as waveforms so you can see what’s playing next, set cue points, set a loop, tweak, twerk and funk it up. The software matches the beats perfectly… and stays banging as you hop around the song and remix things while its playing. Live remixing… Yes! 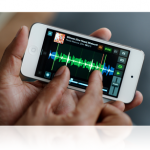 Recording the sessions inside the app… Wow! Play the recordings back in the app… then, when syncing to iTunes, save the recordings to your Mac/PC and share with friends. The recordings are saved as high quality WAV files… Perfect! The filters and controllers are first class. Daft Punk style effects are all there. And more. There’s also mixer attachments so you can plug in your iPhone or iPad and control the mix with traditional knobs and sliders… for a live set in a club. Superb! Now instead of getting bored the tube, I get lost in the mix… and record a creative DJ mix / remixing session.